One of the things I’d always wanted growing up was my own library. I made stabs at it over the years, and once managed to put 2000 books on metal shelves in a 9X12 room (it was laid out like a maze, and didn’t look great, but I had my books on shelves, which is what mattered). Still, my library was really only a dream until we moved into our current home. In the old dining room, we had floor to ceiling shelves built, and I scored a rolling library ladder on eBay (complete with a sign hanging from one rung: “For Staff Use Only. Please Ask For Assistance”). We finally managed to get the right furniture (my wife is a Black Belt in Craigslist), and lately we’ve been spending at least an hour every morning reading in our favorite chairs. And it was there, the other day, that I found myself thinking of Harry Truman. 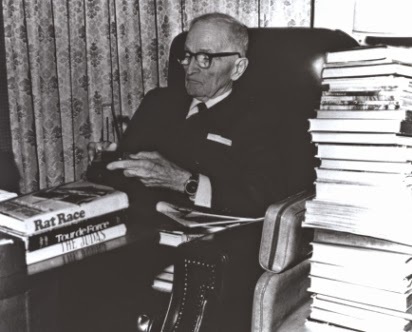 Truman, reading in his late years. A couple of years ago, I was in Fort Leavenworth, Kansas, for a teaching military history course, and found myself with an unscheduled weekend. Since Harry Truman is my favorite president, and his presidential library and home were nearby in Independence, Missouri, I decided to have a Truman day. I started at the Harry S. Truman Library and Museum. I’d never been to a presidential library, so I wasn’t sure what to expect, but I was pleased to see it was on a human scale, with changing exhibits on American history, and permanent ones on President Truman’s life and career. 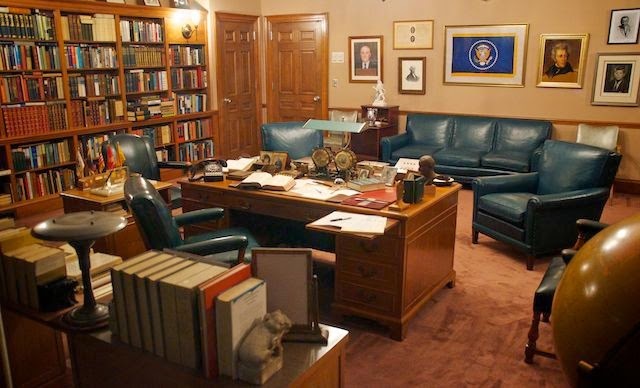 Curiously, my favorite room wasn’t the oval office replica, or any of the galleries, but Truman’s own office, which he designed, and where he worked on his various projects and received visitors after he left the White House. 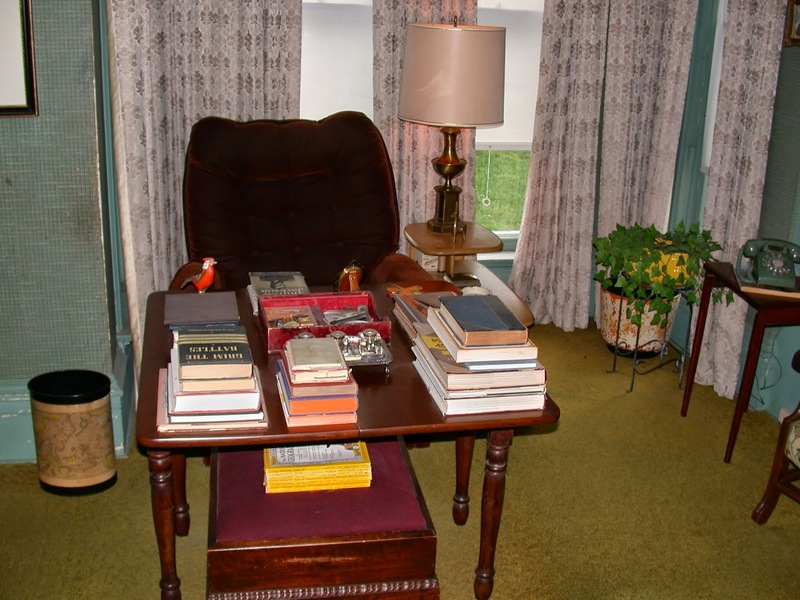 I fancy myself a reader, too, and that may be part of what draws me to Truman and drew me to the rooms in which he spent so much time: a sense of kinship, an understanding of the importance of a good chair in a room laid out just so, with the comfort of reading the primary aim of its design. As I sit in my own reading chair, in my home library, my current book open in my lap, I sometimes think of him, and the other readers of my acquaintance, and feel grateful for those who understand what it means to lose oneself in words. I confess that I don’t understand people who don’t like to read. Thomas Jefferson once wrote to John Adams, “I cannot live without books.” Neither could Truman. Neither can I. No reader can. And why would we want to? We have the world within our reach. Ahh, the joys of a home library! At one point our collection exceeded 7000 volumes, but now that three of our four children have moved out and have families of their own we're down to about 4500, even with additional purchases. We all love to read, and while our two oldest grandchildren have unfortunately taken after their father - a functional illiterate - in spite of our older daughter's best efforts, we hope that the others will grow up to be readers like their parents, who all read voraciously. 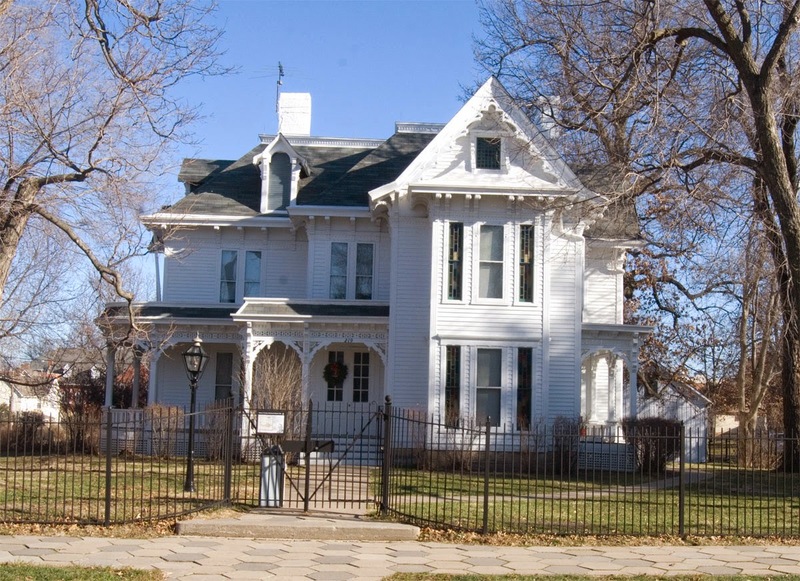 As to the Truman home, it's on my list of places to visit someday... although my list of such places is far longer than I'll ever be able to accomplish in my remaining lifetime. But one can dream.